Before I get carried away with what I’m up to now, I’ll start with a little overview of the one day of work I was given whilst I stayed at the Oasis working hostel. Having never worked a full day in my life, I wasn’t exactly sure how I’d cope with the manual labor that comes with a farm job. Afterwards I came to understand why my Dad, a plumber, only really works for six hours a day. Things began with a knock on the door and the hostel manager screaming at us to get up because we had to work. “That’s the funny thing with orange season, it can start just like that” he said. 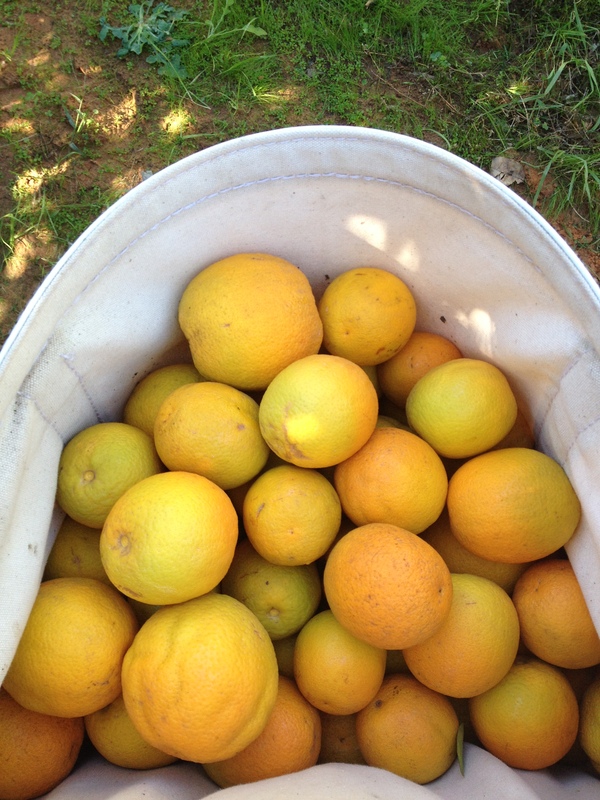 Six of us piled into a car and headed off to what we believed would be orange picking. Apparently it’s easy to get oranges and olives confused. 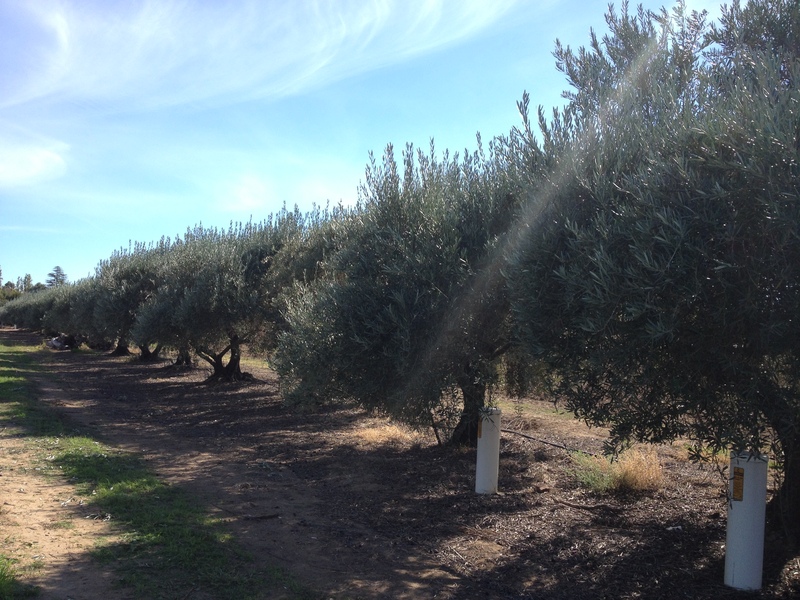 Olive picking is remarkably simple. 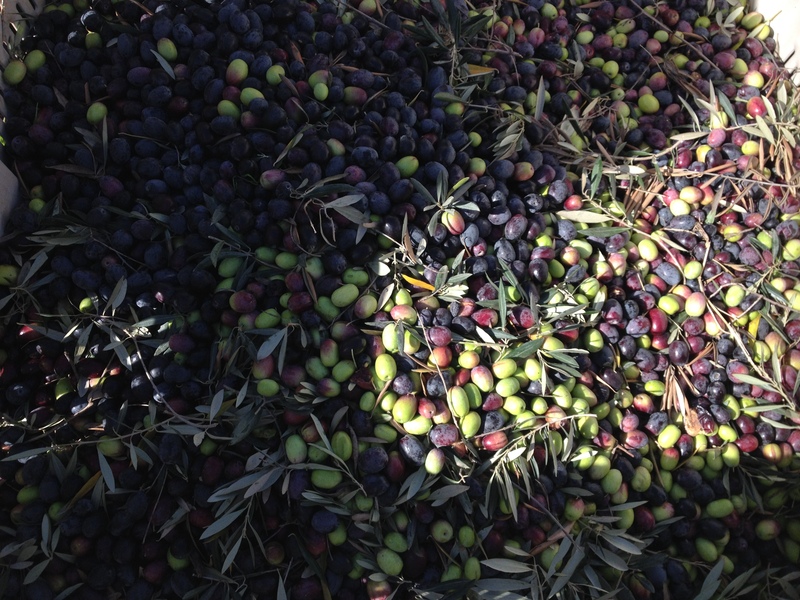 You have to pick the olives from the trees and put them in a bucket. Now, that sounds like it’d probably take some time to do. So someone, somewhere realized that raking the trees brings a lot more olives with one sweep than by hand. Even more recent some clever person decided to fix two rakes to a motor and had them clap together, making the clearing of trees of olives a very simple task. 8 hours and 800kg of olives later my first day was done and now I can say actually, yes Dad, as it so happens I have done a full days work in my life. In the end Oasis Mildura Backpackers proved to be a rather futile venture in acquiring work and days for my second year visa. My journey there, however, has introduced me to Yves, Bastien and Hans, who for the foreseeable future will be my travelling companions. 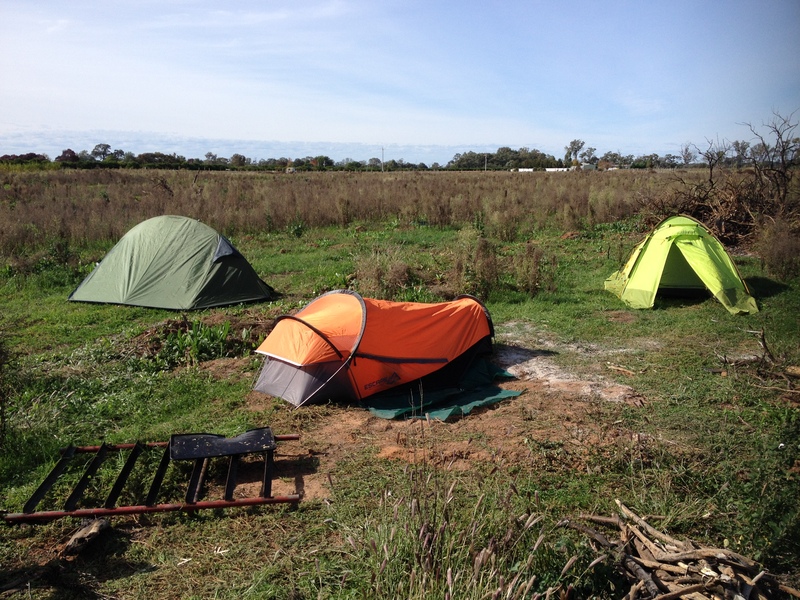 Travelling may be a bit of a strong word here, for now we are camping on an orange farm together. This is a new direction for me, never before have I decided to spend long periods of time living out ot a two-man tent whilst on my adventures. Perhaps if I had a car and was able to cover large distances in hours rather than weeks, it might have occured to me sooner. Once we’d realised we weren’t going to get any work at the hostel, we committed to checking out which meant that I had to committ to buying a tent. It’s been many years since I’ve bought a tent and I reckon I know just enough about what I’m doing to believe that I’ve picked a good’un. Our little campsite is slowly coming together as we consider long term comfort. We have three tents, one dream machine of a car come campervan, a little fire pit and there’s a shed with power, a fridge and a tap. What more could four men possibly want for? Beer maybe, the occasional shower, but I guess you can’t have it all. Our farmer, Mick, has been nothing but generous, hopsitable and kind since we arrived. On our first day, he and his wife Karren provided us with some basic foodstuffs to keep us going and on our first night we tucked in to some fire baked potatoes which were simply divine. Again, they probably could have used some salt and butter, but who am I to criticize any outcome of human kindness? MIck even drove us back in to Mildura on Saturday to catch the Triple J One Night Stand free festival. Truth be told we got there too early, had far too much to drink and I can tell you almost nothing about the bands, or the music. Hanging out with Yves, Bastien and Hans has been a particularly rewarding experience. Each of us has been used to our own unique way of spending our time on working holiday visas and it’s fascinating to hear of other people’s adventures, especially when they’re so different to that of my own. 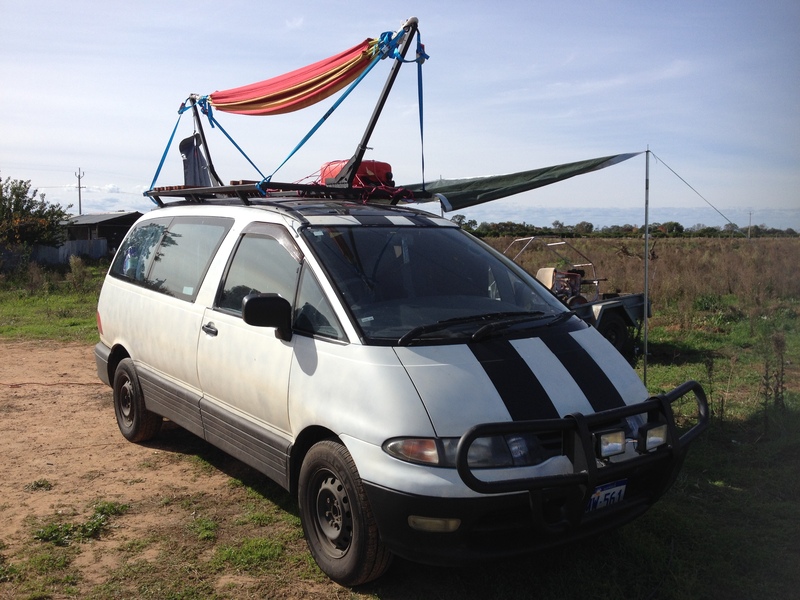 Hans has a van which he’s kitted out incredibly well and drove the ridiculous distance along the Ia Highway from Perth to find work. His van has got room for a hammock on the roof, no doubt about it, the man is living the dream. Yves and Bastien met in Tasmania where they spent some time woofing, living in the forest, and driving across the island. 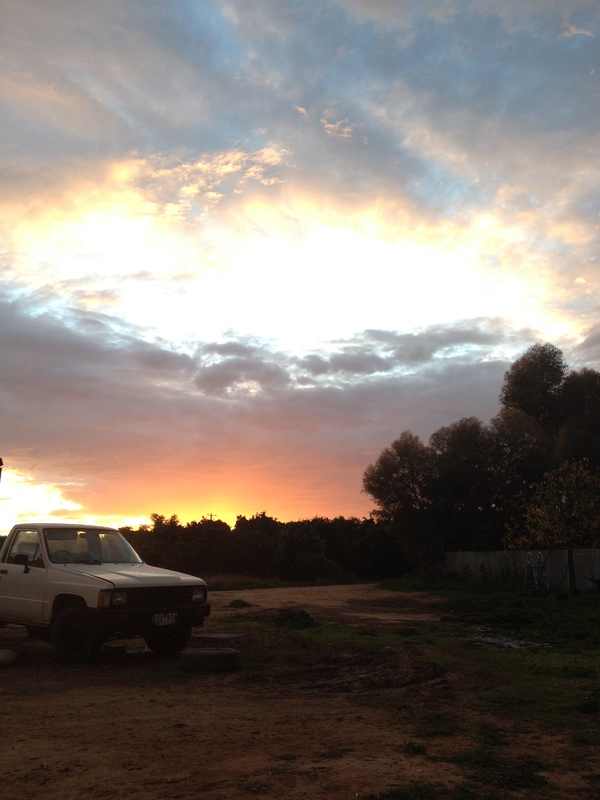 Once back in Melbourne they hitchhiked their way to Mildura living incredibly frugal lives. I think it’s pretty safe to say that I’m going to enjoy our time together. It’s quite literally a breath of fresh air from Melbourne. It’s so quiet, peaceful and for the most part stress free; I commented whilst sitting in the sun yesterday that the biggest worry of my life right now is that I’ll have to put shoes on at some point during the evening.The countryside here is very flat and impossibly sparse. Along the Murray river there are plenty of trees but the rest of the land is mostly arid and dry with low sitting shrubs which gives an impression of something not all that dissimilar to the heather plains of the New Forest. The farms on the other hand, are flooded with an abundance of fruit trees and grape vines. It’s quite special to be out here and I feel rather privilleged to be in such a beautiful part of the country that I may have never even considered visiting where it not for the need to work in regional Australia. We haven’t had much opportunity to work just yet, orange season is still about a week away from getting in to full swing, but even during our short stay we can see them slowly turning that wonderfully orange colour you’re used to seeing. Talking a walk through the orchard is incredibly pleasant at the moment, with the rather obvious and strong scent of citrus in the air. 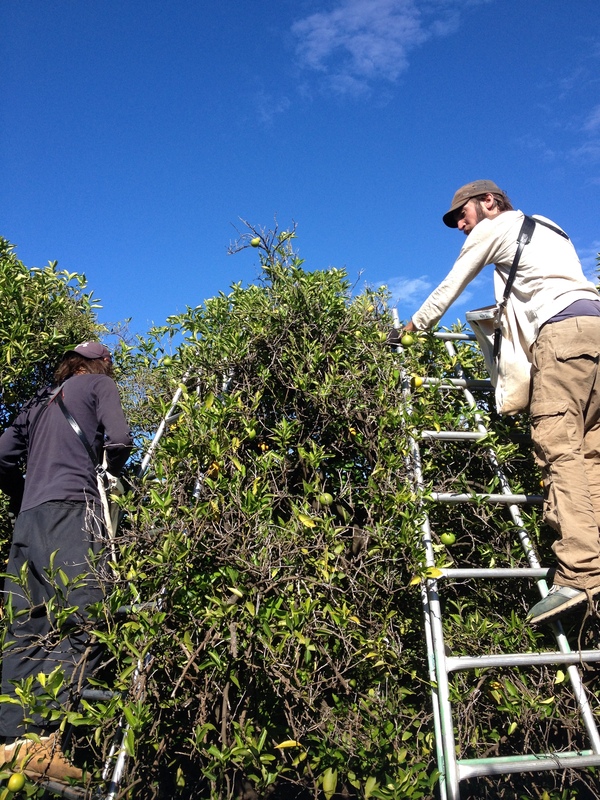 The days we have worked has been out in the trees picking any ripe Valencia oranges we can find. Once we pick them, they’re off to the packing factory where they’ll be sorted for juicing. 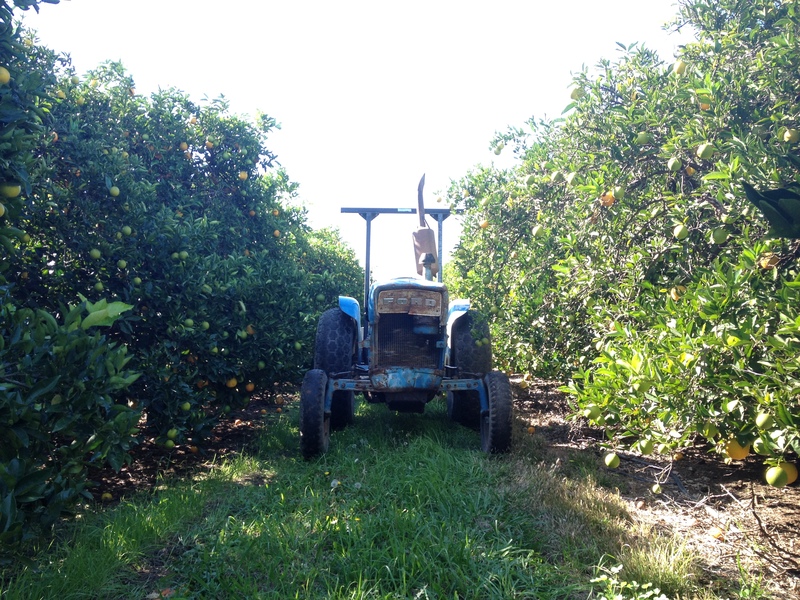 Orange picking isn’t easy, it’s about a million times better than olives though. Find the ripes ones, grip and twist off the branch. After a few trees I soon had the hang of it, and then it’s just a case of finding those that are ready for picking. Working as a team we’re picking three boxes a day, that’s 1200kg of oranges or, as we like to think of it, $75 worth of oranges. Between work, we’re lounging around in a field, catching some rays, kicking back with a beer, playing cards or dice and really taking advantage of the holiday side of our working holiday visas.